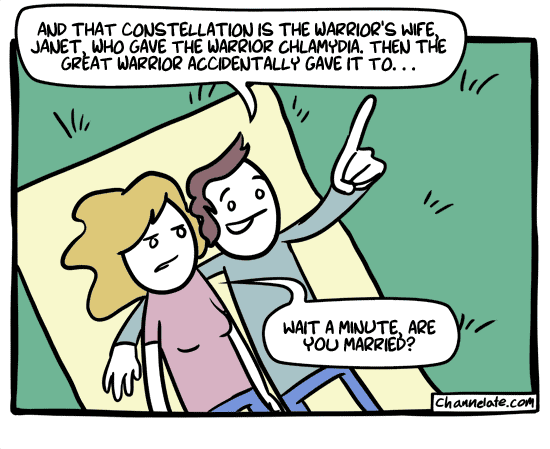 I just hate those constellations, dammit! And that constellation over there is a pamphlet you should read. Note to self: Horoscopes can be true! Did anyone else notice that they were seeing stars in the middle of the day? noa04e this content Someone left me a comment on my blogger. I have clicked to publish the comment. Now I wish to delete this comment. How do I do that?..